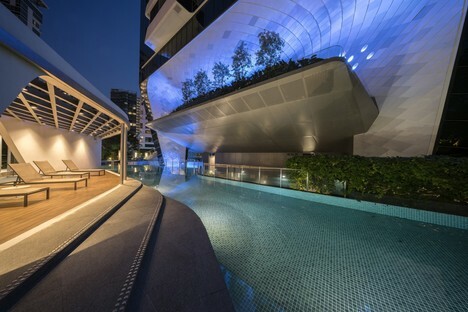 Singapore is one of the world’s most densely populated countries, and the need to respond to demand for housing while limiting occupation of land has resulted in rapid vertical expansion, a type of construction that has been attracting a great deal of attention all over the world. International architectural studio UNStudio recently completed two projects in Singapore, including The Scotts Tower housing project. 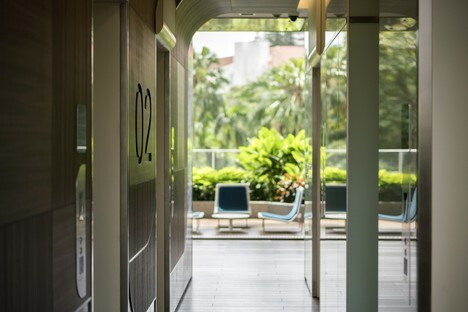 In a privileged location near the Orchard Road luxury shopping district and an important park, The Scotts Tower is essentially a vertical city. 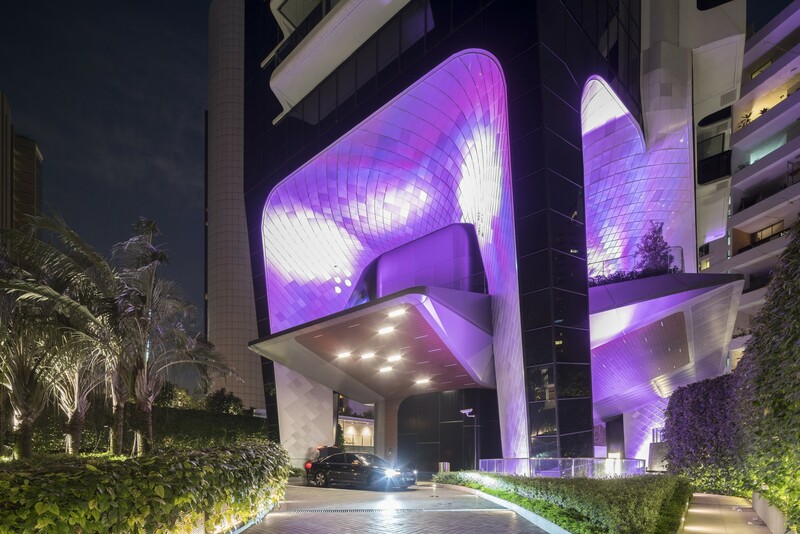 The vertically oriented complex incorporates a variety of living solutions, in terms of both type and size; the tower contains four different residential "neighbourhoods ", as the architects call them. This is the truly innovative idea introduced by the team of UNStudio architects, because just like neighbourhoods in a city, each of the neighbourhoods in The Scotts Tower has an identity of its own. The concept of the vertical city is therefore expressed in the tower on three scales: the "city", the "neighbourhood" and the "house", with architectural gestures permitting identification and recognition of each element. A vertical frame, for instance, divides the tower into four overlapping residential blocks, the four different “neighbourhoods”. The individual identity of each district is a product of a number of factors which are also visible from the outside, as they are determined by the type, size, layout and articulation of exterior space. The presence of these unique, identifiable outdoor spaces, terraces, hanging gardens and individual balconies, further improves the inhabitants’ sense of belonging and the recognisability of their "home". This is an important element, seeing as The Scotts Tower is 31 floors high and contains 231 residential units composed of one- to three-bedroom apartments and four-bedroom penthouses, as well as big landscaped gardens and patios, rooftop gardens and a number of recreational facilities. In the context of each neighbourhood or block, every single residential unit is given its own individual identity by the layout and organisation of outdoor space and potential for customisation of the interior. 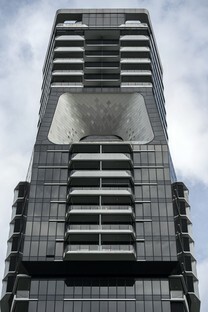 The City Loft residences are one-room apartments in the lower part of the tower. The City View apartments in the second group have two rooms and overlook nearby Goodwool Hill, while the three-room Park View units and are located in the block on top of the second "Sky frame". The architects use these four “frames” to open up the tower block to the city while at the same time offering its inhabitants vast panoramic views over the nearby park and its urban surroundings, while providing outdoor spaces for social events such as swimming pools and pavilions in which to hold luncheons and sporting events. The last residential block, the fourth neighbourhood, consists of three exclusive penthouse residences at the top of the building, with their own private patios.